Orange County has always had a strong pub scene, but new pubs are opening up all the time and micro-breweries are finally starting to make their presence known. In the next three blogs I’m going to share some of my favorite haunts and a few new breweries and pubs that have cropped up the last few years. Trust me; Orange County, California is more than just Disneyland! First stop…The Auld Irisher in Orange, CA. 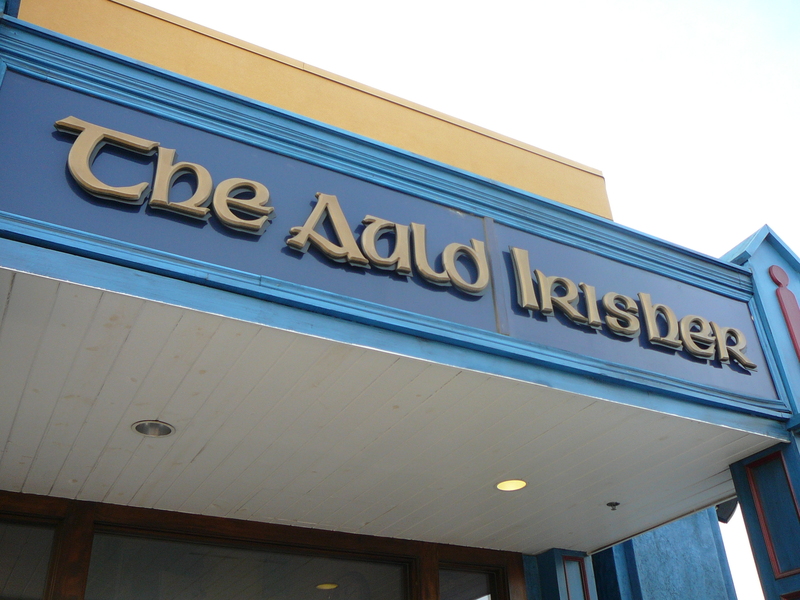 Located in the Stadium Promenade just steps from the Honda Center; The Auld Irisher prides itself as Orange County’s first authentic Irish pub. 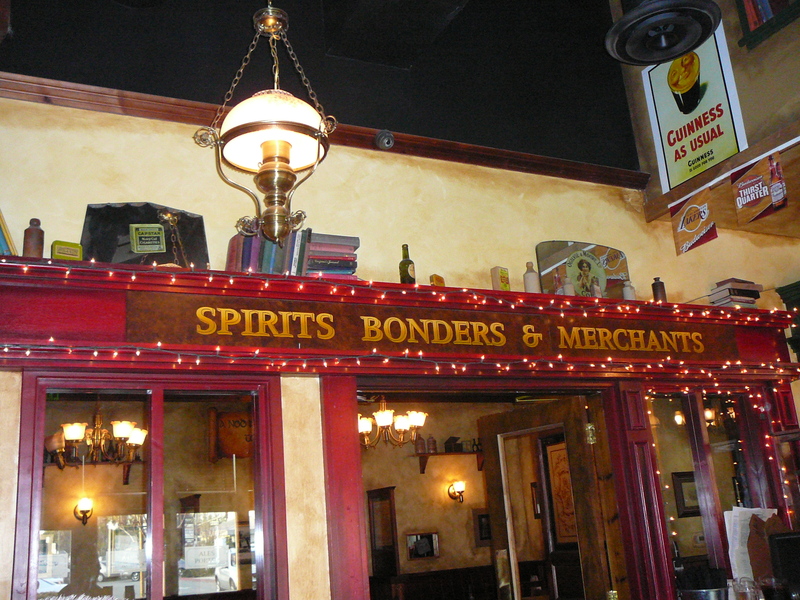 To create the feel of an authentic Irish pub, theentire pub was hand crafted in Dublin, Ireland then imported and assembled where it stands today by Irish tradesman. The pub pours a great selection of traditional Irish and British beers along with many guest taps. The food is as authentic as you can get and the atmosphere is warm and cozy. It’s a great place to hang out with friends and has an outside patio. The downside? Classic rock blasting through the speakers until the live band starts. Call me crazy, but an “authentic” Irish pub should be playing authentic Irish music. We visit The Auld Irisher whenever in town. One of Orange County’s newest breweries, The Bruery, opened a tasting room in Old Town Orange. Scott and I have wanted to sample these brews for a couple of years now and we finally had our chance last week. The tasting room itself is quite nice. The seating area is cozy and you can also purchase cheese and meat platters to go with your beer or wine flight. 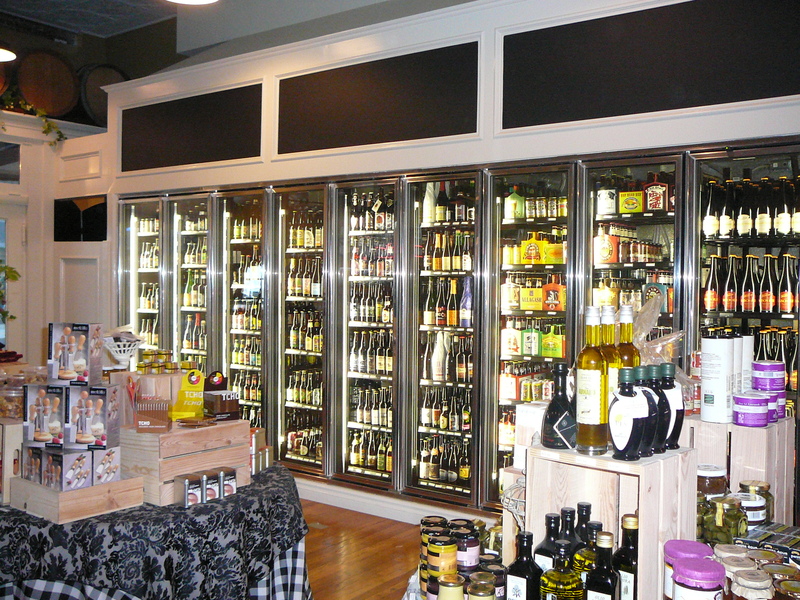 There is quite a selection of micro-brews, import beers and wine available for purchase in bottles. 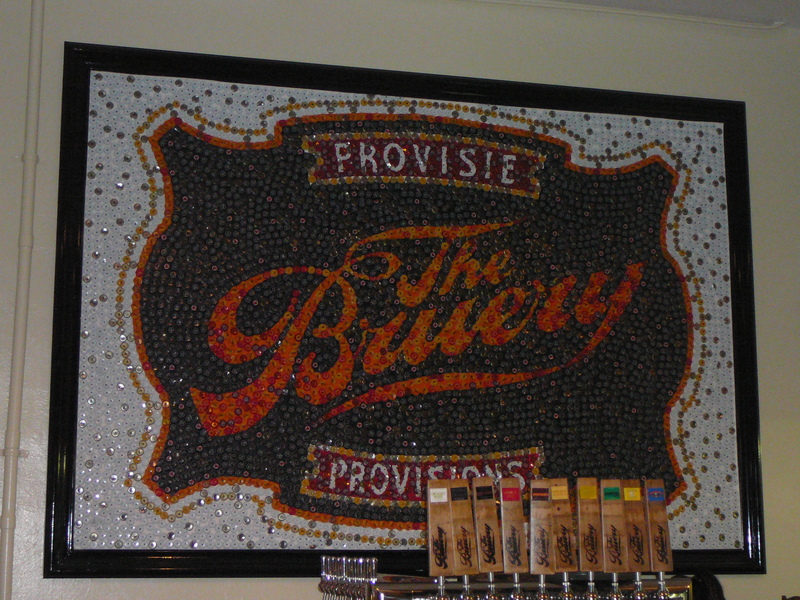 I’m a huge fan of Belgian-style beer and The Bruery specializes in crafting such brews. We sampled 12 of The Bruery’s own beers but for the sake of time (and the fear of rambling on) I will touch on a few of our favorites. My husband’s favorite beer, and one we could both agree on, was the Loakal Red. The Bruery uses Centennial hops and age the ale in American oak barrels for a truly unique flavor. This is a hoppy, medium to full-bodied ale with hints of caramel, vanilla, and pine tree. Loakal Red is an interesting and delicious ale. My two personal favorites are the Orchard White and the Imperial White Orchid. Orchard White is a Belgian-style wit beer spiced with coriander, citrus peel and lavender. Yes, lavender. The aroma is heavenly and the taste is just as sweet. The Imperial White Orchid is another lovely spring time beer but a bit strong in alcohol, 9% ABV to be exact. Brewed with orange peel, coriander and nutmeg, this beer has a very pretty honey, floral aroma and taste. The Bruery is quickly making a name for itself and has fast become an Orange County favorite. As you can see our first two days in Orange County were filled to the brim. Once we got past the sticker shock of $6.00 pints we had a wonderful time. Part 2 of my 3-part blog will be posted in a few days.